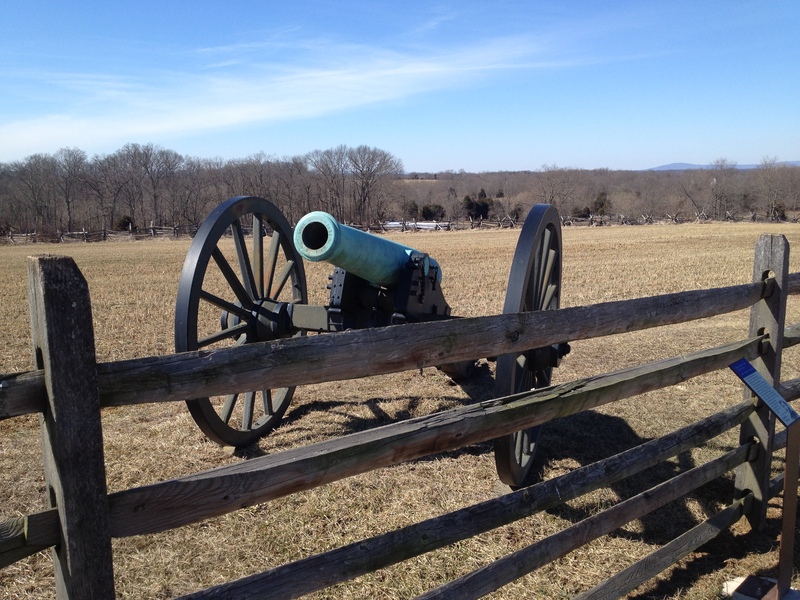 It pretty much goes without saying that the Antietam National Battlefield is the coolest place on earth. I have often told the story about my first trip to Antietam in 1968, when as a New Jersey middle school student who had written a paper on this Civil War battle, I pestered my family to bring me to see it … having relatives who lived in Ellicott City. It was a freezing cold, windy, drizzling damp day. My relatives were very cranky about it all, but I was running up and down Bloody Lane in total fascination with the narrative of what happened there. 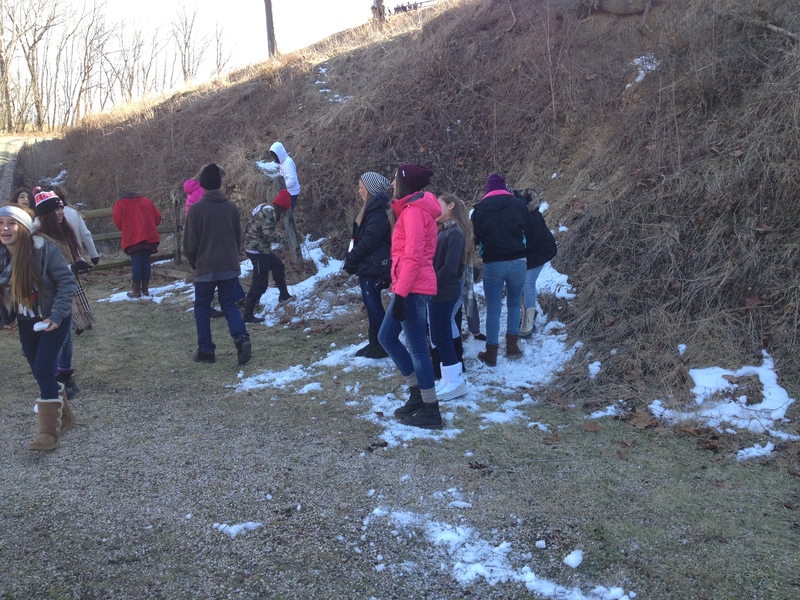 Today was my first group of 2014 at Antietam. Along with fellow guide and author John Michael Priest, we each hosted a busload of charter school teenagers from El Cajon, California. They were great kids – very attentive – and many asked some really good questions. It was a very cold day, but none of them complained at all, even though they had been to Gettysburg in the morning and were being asked to absorb a lot of history in a short time. We ran up Bloody Lane and then walked out to the Burnside Bridge. What really cracked me up was watching them at the Bridge. Of course, at this moment, the Bridge is closed to access upon it until a repair can be made. But the steep hill on the west side makes for certain shadows that prevent the sun from likely getting to that area, so there is some remaining snow and ice from recent storms. These Southern California kids simply could not avoid the joy of stomping around in it and making some snowballs. A couple of them needed to be sent out of the bus, having decided it would be cool to bring some of it along as a souvenir. Actually, I was telling the kids that, even though it was very cold, it was probably nicer here in Maryland than being in Southern California today where the rain is pouring for the first time in months and the mountains are sliding into the valleys. And they are going to be in Washington on Sunday and Monday for the next big snow event. Every part of the country has its weather challenges of one sort or the other. I am headed to Western North Carolina next Monday to speak at a Civil War Round Table on the topic of the Iron Brigade at Brawner’s Farm … which will give me a chance to tell some Doubleday stories. 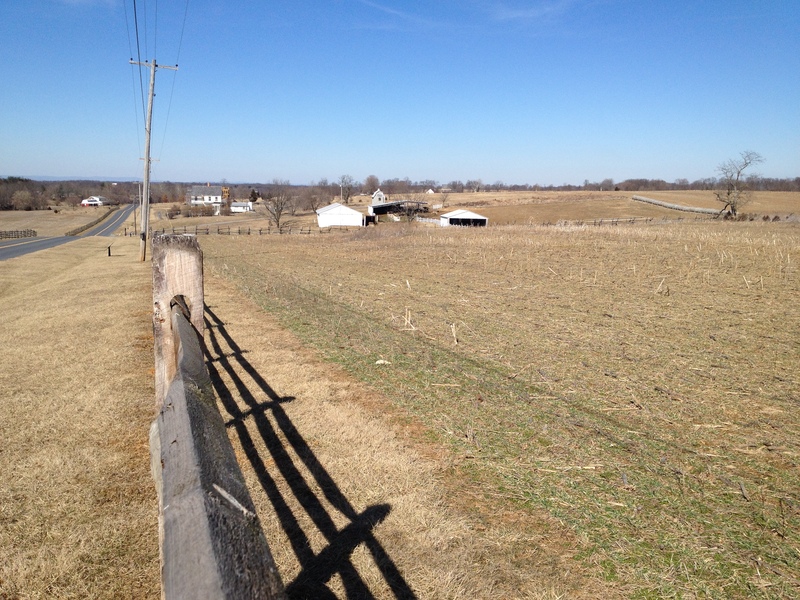 Posted by Randy Buchman on February 28, 2014 in Antietam / Battlefield Guides and tagged Antietam Battlefield, Antietam Battlefield Guides.